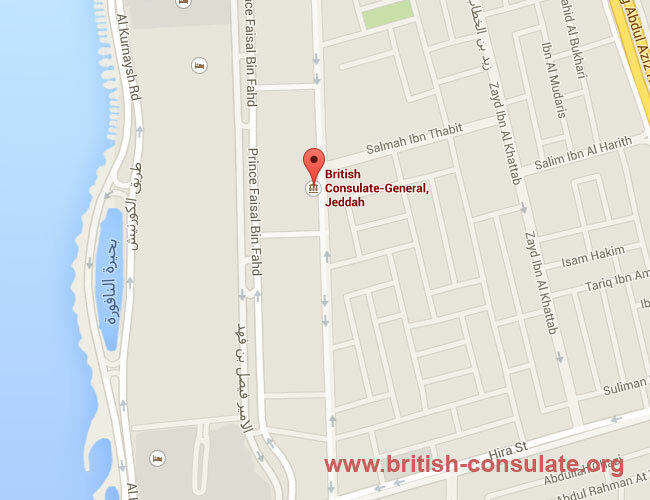 If you are in Saudi Arabia then you can seek advice and assistance at the British Embassy or Consulate in Saudi Arabia. We have listed the contact details for the embassy and the consulate below with their telephone numbers, street address and a map to the embassy. 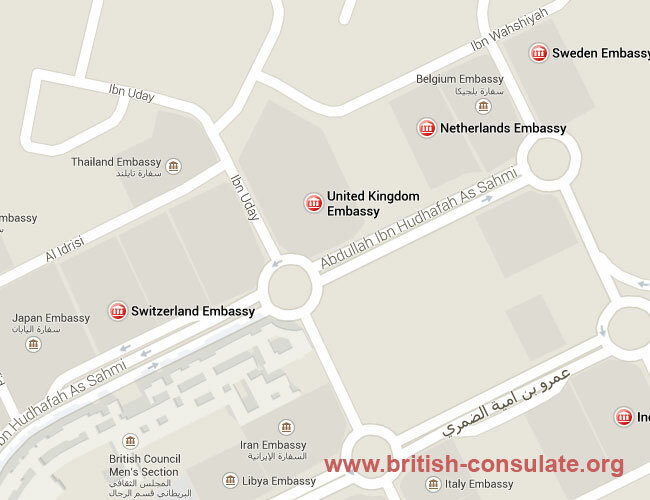 The British Embassy in Riyadh is in the same road as the Thai embassy in Saudi Arabia as all of them are located in the same area. If you wish to renew your British passport or register a child born in Saudi Arabia then you can use the embassy for this. They can also assist you with consulate services if you are arrested or are involved in an accident.